Human children and animal babies all go to sleep. That's the entry point that makes Snuggle Down Deep by Diane Ohanesian with illustrations by Emily Bornoff work. Each section involves both some light factual material with the "snuggle down deep" repetition. The book combines nature, poetry, and...sleeping. It's a lovely book with an ecological thread. This morning Diane Ohanesian did what could be called a master class in how to do an author story hour in a bookstore. She had an audience of close to a dozen kids from around two-years-old to maybe six or seven. Yes, she brought cookies, which made a much nicer impression than I would have expected. What was really impressive, though, was the way she got control of her group with the first words she spoke. In a whisper, she asked her audience to do something and they did it. She kept control with a terrific board kids could interact with as she was reading. She finished up with a simple art project that went over extremely well, probably because of the great box of supplies she brought with her. She had brand new packages of paper! Watching Diane illustrated why new writers should take advantage of opportunities to see writers experienced with speaking and dealing with the public. could be that kind of place. 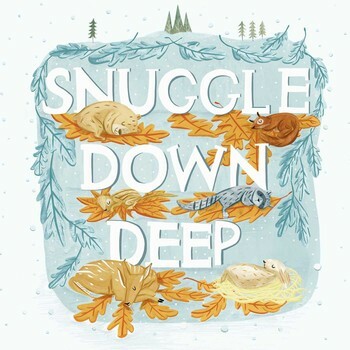 Of course, today I bought Snuggle Down Deep. River Bend is hosting writers and other literary events.